Aidy Bryant in Hulu's upcoming comedy, "Shrill," based on Lindy West's book of the same name. 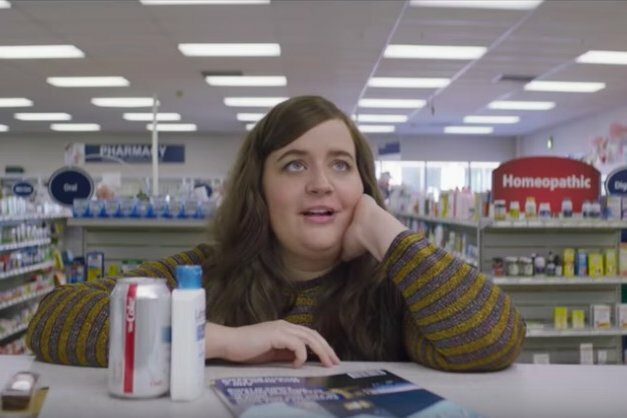 Aidy Bryant, easily one of strongest players on the current cast of "Saturday Night Live," is the star of what looks like the next buzzy Millennial comedy, "Shrill," coming to Hulu next month. Bryant, who also writes for the series, stars as Annie, the show based off Lindy West's novel of the same name. Like the book, storylines throughout the show deal with abortion, body image, and Annie's attempts in journalism. Though Annie's weight is a facet of the show, creators insist it's not a show that's about the character trying to lose weight. "Shrill" premieres March 15, when all six episodes drop simultaneously.